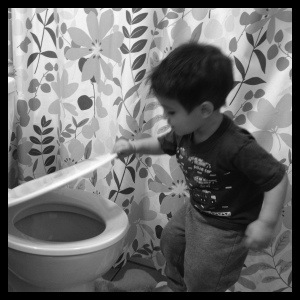 This entry was posted in parenting tips, practical tips, toddlers, training and tagged potty training, rewards, toddlers. Bookmark the permalink. We are potty training a traumatized 4 year old who doesn’t have a good grasp of normal. I have found having her watch my Iphone while she sits on the potty (in a ziploc bag, of course) to be really helpful! She watched a series done by another Mom on youtube on how to potty train. Wierdest thing, but it helped her so much seeing another little kid going through the same thing. That’s a great idea. I’ve used my iPhone too, books, and other media to get them to sit still long enough to catch their next potty moment. Pingback: The Liebster Award | The Adventures of Fanny P.
Pingback: The Sunshine Award | The Adventures of Fanny P.